Does your child have dry skin? Is it Itchy? Is it red? If so, they probably have eczema; a very common skin condition. Want to know more about what eczema is and how you can make it better? What are steroid creams and when are they used? 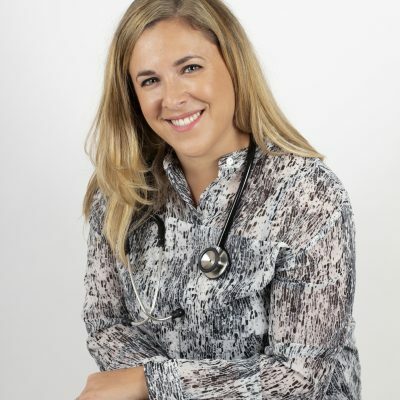 Dr Laura David explains……. Affecting 1 in 5 children in the UK, and even more-so in the baby and toddler age group, Eczema is bound to affect children at your nursery. In fact, it has affected both my children, and my husband has eczema. Eczema tends to run in families so if either or both parents have eczema there is a high chance your children will get it too. Of course, eczema affects each child differently and there are several factors which can make eczema worse. Some children get it very mildly and some severely, there is a large severity scale. This blog article will discuss what eczema is, why children get eczema, what can make it worse, and how you can make it better. We will also discuss some of the treatments you can buy over-the-counter or you may be prescribed by your doctor or nurse. Firstly though, it is important to remember, if your baby or toddler has eczema, most children will grow out of it. Only about 20% of children will have eczema into teenage years or adulthood. Eczema is also known as dermatitis. Simply put, eczema is often caused by a lack of oil/moisture in the skin. There are lots of different types of eczema, but we won’t get bogged down with the technical side. In general eczema can be described as a dry, itchy skin condition, causing redness and inflammation/irritation of the skin. It can affect anywhere on the body but commonly affects the face and body on babies, and the back of the knees and front of the elbows/ wrists as children get older. If you touch skin with eczema it will feel rough, and if your child has been scratching it you also might even see scratch marks or little scabs if it has been bleeding. As well as running in families, eczema is linked to a family of allergic conditions. These other conditions are asthma, hay fever and food allergies. If your baby has eczema starting at a very young age (3 months or less) this may well be related to a milk allergy. There are factors which can make eczema worse, like soaps and bubble baths, hard water, changes in temperature – especially cold in winter, washing detergents and clothes materials such as wool. Pure cotton clothes are much better for eczema-prone skin. Remember, swimming pool chlorine is always an irritant to eczema-prone skin, so it is important to shower as soon as you get out of the pool and apply a high-quality moisturiser (we will cover this!). People always ask me if food allergies are causing eczema. The answer is that they could certainly be making it worse. In fact, we can think of the skin as a barrier to world and all its ‘allergies’, if it is damaged, broken or inflamed, more ‘allergies’ may get in. What this means is, keeping the skin as healthy as possible can reduce the chance of your child having other allergies. This is mostly relevant to young babies with eczema. A good moisturising regime can help reduce the skin letting in ‘allergies’. New research suggests that If you have a young baby and there is eczema in the family, it is worth using a high-quality moisturiser daily to try to prevent eczema and allergies. If you are noticing certain foods are making the eczema worse, try to keep a diary and see your doctor, or exclude those foods. How can we treat eczema over-the-counter? After all we can do to try and reduce eczema, there are many children where eczema will persist. We cannot help everything, so parents should not blame themselves. This brings me on to talk about what we can do to make eczema better! The key is to MOISTURISE the skin. If you remember anything from this blog article, this is the key message. Moisturise, moisturise, moisturise. You may hear health care professionals saying the word: Emollient! What is this? Emollients are very high-quality moisturisers. They are the kinds you see in the pharmacy in the big dispensers and are very white looking and creamy, or oily. You can buy all these over-the-counter! Your choice is huge. The commonly prescribed or recommended products are Diprobase, Double Base, Zerobase, Cetraben, Epaderm etc. There is no right or wrong amongst these products, it really is finding the right one for you and your child. There may be some degree of trial and error, and please remember if the product is making the eczema worse please stop using it! If you are unsure, speak to your pharmacist, they are a great source of information! Ointments are the thick greasy tubs, which are good for eczema as they stay on the skin longer but can be very slippery and greasy. I often recommend them for use before bed as they will continue to soak into the skin overnight. The creams are often preferred for day time use as they absorb more quickly. Use of creams and ointments in the right way can reduce the need for steroids by almost half! How much and how often should you use them? The answer is: Liberally, and as much as possible. Some doctors will recommend applying the creams 10 times per day, especially in flare ups. This is hard to achieve, but if you can do it, great! Three quality (thick coverage and wide spread) three times per day will make a big difference, so if you can achieve this, you will hopefully be winning! Try to apply the cream in a downward motion and make sure you don’t rub it all in, there should be a layer of white still visible. It might take 15 minutes to absorb, this is perfect! Apply the cream thickly, and if you are using a whole dispenser every 2-3 weeks you are using enough on your child’s skin! If you are not finishing the dispenser for months, then you should be using a lot more! Emollients can be used to wash your child too. Bath products and soaps can often irritate eczema prone skin and it is best to avoid them all together. Use an emollient (that’s right, the creams can clean the skin too) when washing your child. I usually recommend using them just like you would a soap wash or apply just before the bath and rinse them off. Then reapply soon after the bath (soak and seal). Bath oils can also be used if you find them helpful. What’s the deal with steroids? When are they helpful? Lots of parents are scared to use steroids on their child’s skin. I generally try to reassure parents, but this is not entirely unfounded. Really long-term use of high strength steroids can cause thinning of the skin and changes in the colour of the skin, but generally, sensible use of steroids can improve eczema no end. The main principles are: Use the right strength of steroid for the severity of the eczema. Anything more than mild eczema should be assessed by your GP and a regime will be prescribed or you may be referred to a specialist. Use the right strength steroid until the eczema is better and then reduce the strength or the frequency of use. Some children will need to use some mild steroid to maintain their eczema and this might be using it every few days, to keep it at bay. Babies might need some fungal treatments too, especially on the face, so see your GP or pharmacist if you are worried. Mild steroids like hydrocortisone 1% can be bought over-the-counter. The main message really is: Moisturise, moisturise, moisturise. Avoid irritating products, and do not be afraid of steroids, they are usually your friend.